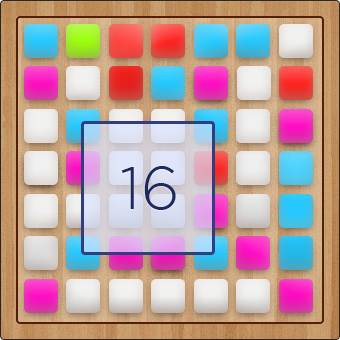 Play Color Squares with Friends Online – Free Skill Board Games! The name of the game is to form squares of various colors and sizes. You can swap only two playing pieces at a time. When 4 playing pieces of the same color form the angles of a bigger square, you earn points. The bigger squares you form, the higher score you get! Don’t forget to keep track of your opponent’s moves as you play Color Squares with friends online with no sign up and no download necessary!